While Bland's family and friends have difficulty accepting her suicide, Chapman's family now believes she killed herself. "We are so grateful for the outpouring of support for Kindra. We are devastated that she is gone, and we miss her terribly," the family noted in a statement released to AL.com. The family told AL.com police showed them a video of Chapman hanging herself with a bed sheet in her jail cell. They also saw other evidence that convinced them she took her own life. Chapman was arrested on first-degree burglary charges on July 14. She was booked into the jail at 6:50 p.m. One hour later, her lifeless body was found hanging by a bed sheet. Bland's supporters immediately linked the 2 suicide cases as further evidence of some sort of conspiracy by law enforcement to murder black people in police custody. Facebook friends say Chapman, a soft-spoken lesbian whose girlfriend was pregnant, suffered from depression. Like Bland, Chapman did not seek treatment for her depression. And, like Bland, she self-medicated with marijuana. According to The American Psychiatric Association, 1 in 4 black Americans suffer from mental illness each year. People who are depressed lack good coping skills. Stressful situations can push them over the edge because they see no hope in their future. As someone who once suffered from depression myself, I can tell you that every day was a struggle to find a reason to stay alive. Being homosexual only compounded the problem. Gays have higher rates of depression than society at large. While other races routinely seek professional help for their mental illness, black people suffer in silence due to the stigma attached to mental illness. Rather than seek treatment, black people depend on prayer and spirituality to chase away the "demons" that cause their depressive thoughts. Others, like Bland and Chapman, self-medicate with mood altering drugs. First lady Michelle Obama talked about the need to reduce the stigma in the black community. "There should be absolutely no stigma around mental health," she said at a recent mental health summit. "None. Zero. ... It's time to tell everyone who's dealing with a mental health issue that they're not alone, and that getting support and treatment isn't a sign of weakness, it's a sign of strength." amen, I am arguing with a cousin now trying to convince him that Sandra might just have took her own life and just by looking at the tapes of her arrest that she was not a stable or happy young lady, despite having new job and city/state, and her smoking tells me even more about her, now the police were dead #ss wrong for how he handled that situation but I would have expected Sandra to have acted with more class and intelligence also and that I didn't see on that tape. prayer and justice for sandy, however we as blacks need to do better when it comes to getting help for mental illness and put down the cigarettes, ciga weed and bottles! I think it's easier for some people to blame white people for Sandra's death, because the truth hits too close to home. Most of us know at least one person who is struggling with a mental illness and if that person is black, they are probably struggling alone. Guilt is a helluva drug! We all struggle alongside my baby sister. Diagnosed as an early-teen. She is now 31. A true all out family affair. It's been ROUGH. My mother is the real MVP.? interesting how this family is able to see the video of her actually killing herself. Jails have video cameras in EVERY cell or at least a camera pointing directly to the cell. there is no video of Sandra in her cell. Although there is a camera in there....all of the videos for Sandra are at these strange angels that aren't clear. vast difference. the garbage bag that they are showing as evidence that she killed herself with is still tied and fashioned into a noose. How is that bag still in tact? They would of had to cut the bag from around her neck but yet the part that would of been around her neck is still in a circle. Also the garbage bags that they showed for the garbage cans in the jail are big. the bag that they showed as her hanging device is much smaller more like a waste basket than an actual garbage bag. they are trying to connect the two to show that black women are depressed and they are taking themselves out so that when this happens again it can be brushed under the rug and once again the black woman is the fault. what does her smoking have to do with anything? But obviously you didn't kill yourself depressed and suicidal are two different things. family of Kindra Chapman was shown proof, whereas Sandra Bland’s death is explained by a series of add-ons depending on what is needed to convince the public that there was no foul play. Sandra Bland was arrested for a traffic violation and a confrontation with an overzealous cop. Sadly, mental illness is a problem in the black communities, in fact mental illness is a problem in many other communities as well. It is especially hard for us because there is a stigma attached, in addition to the fact that support and treatment in our communities are inadequate. Two lives lost, maybe for the same reason, but maybe not. These nyggahs are sick as he!! !...They have internalized the slaave mentality for centuries and it most definitely shows. Many will excuse a rogue cop that kill black people on the regular by blaming the victim although "white privilege" allows for whites to speak up about their rights or even spit or hit a cop without any hint of violence by said cop. the police are reporting she was smoking or eating large quantities of weed in the jail...the cop that arrested her told his sergeant a totally different story than what was recorded. she couldnt even smoke a cig in her own car but yet shes rolling blunts or eating hydro for dinner... and we have those that still want to blame this woman for knowing her rights as a private citizen. They want us to worship and tap dance for these police. When Kim Richards actually resisted arrest, urinated in a hotel lobby, barricaded herself in the bathroom then actually assaulted the cop they sent her a$$ to a rehab where she can come and go as she pleases. That racist cop mistreated and threatened her conveniently off camera. Another thing is that she was searched before going into her cell. So I guess she set off that day with weed tucked in her body just in case she crossed lanes and got arrested by the police. Right. She was murdered and depression has a small part in it especially if she was on a antidepressant and starting a new job. in fact mental illness is a problem in many other communities as well. It is especially hard for us because there is a stigma attached, in addition to the fact that support and treatment in our communities are inadequate. Two lives lost, but not necessarily for the same reason. So sad. Such a young life gone way too soon. May she rest in peace #sweetheart# prayers for her family. Chile have you ever watched an episode of Cops? I've seen plenty of white folks get fukked up for actin a damn fool. Not all blacks commit suicide or smoke and eat weed. They get help. I haven't seen or heard it reported that the cops said she ate or smoked weed inside the jail. The report has consistently been that the autopsy report showed a high level of THC in her system, consistent with eating or smoking a large amount of weed. Mrs Mary, you are on point! Yeah so not getting help for mental illness isn't always about a negative connotation or a stigma attached just because someone is black. Sometimes the help isn't always easily available to find. Insurance prices are not cheap and there are lots of people who are not covered. Not to mention when some people go out and seek help they go in circles looking for the right place or have to get referred out. Also, who hasn't been treated rudely by medical staff? For some people, that alone can be defeating, and since most people in those situations already lack coping skills, it makes it easier to just quit and suffer from illnesses without help. This isn't the case for everyone, but it's very close to what I've witnessed. Sandra Bland, the black woman found hanging dead in a Texas jail days after a traffic stop, smoked or possibly swallowed a large amount of marijuana while in custody, her family's attorney reported the district attorney as saying. Waller County District Attorney Elton Mathis made the disclosure in a text message to attorney Cannon Lambert, who has called the state's autopsy on the Chicago-area woman defective, Lambert said. "Looking at the autopsy results and toxicology, it appears she swallowed a large quantity of marijuana or smoked it in the jail," Mathis said in a text message to Lambert that the attorney provided to Reuters. Applause and hugs Miss Sandra, I've been there too. Please post on the woman who was filmed by her baby daddy throwing her 19 day newborn across the floor and forever damaging her 10 yo daughter all while quoting scripture- we need to see that raw so that there is understanding that it is real. What's the title of that article on huffpo? That sounds crazy. I'd like to hear the DA confirm that's what he meant cuz there's no way she smoked weed in a jail cell and no one noticed. No you don't. I've watched it and I started crying. Please don't watch it. I can still hear the daughter screaming for her mother to stop. I saw that vid and wished I hadn't clicked it. The mother is schizophrenic. The meds are a catch 22 so maybe that's why she isn't taking meds. You've been warned.. Look on media takeout. I'm pro choice because not everyone should be a parent. If you know you're not maternal/ paternal or you've mental health issues, I don't think ppl should have kids. I'll never forget these kids and I pray they find good healthy minded ppl to love them. If you get fukked up that means you can heal. You can't come back from death. It's looked at as weak because blacks have to be superhuman when it comes to that. It's truly sad ppl fail to realize if you have a brain you can be depressed. Depression shows no discrimination. So many things I want to say but I will try to keep it short. One, I do not know if SB killed herself. For me, this does not make the state of TX any less culpable and it doesn't make the actions of the police officer any less egregious/unconstitutional. The bigger issue is untrained, racist low IQ police officers having unrestricted discretion and the villainization of AA's. Also, its important to note that Bland was facing minor criminal charges. At the most a misdemeanor for the resisting charge. Chapman, on the other hand, was facing a minimum of 10 years for Class A felony. ...and ummm when did marijuana start making people kill themselves? This is neither strange nor all of a sudden. It is quite common for inmates to harm themselves while in police custody; hence the reason inmates' belts and shoelaces are confiscated. Furthermore, according to a recent Washington Post article, more whites die/commit suicide in holding cells, than any other race. I disagree. Let's say she did kill herself in that jail cell. Why was she there? If she was acting so erratic, why were they not watching her? If her mood/behavior had not changed (meaning they had no reason to believe she would kill herself) why did she suddenly kill herself? No shade but if you know one person who is struggling with mental illness and that person is STILL struggling alone, that says a lot about you, not necessarily the black community. Statistically its very uncommon for BLACK WOMEN to commit suicide. In fact, black women, not sure about black males, but black women are the lowest of all the races to commit suicide, but lately it seems like they're doing it more frequently, especially after getting stopped by white police officers. She said that it was strange how BLACK women were KILLING themselves.Your comment does not address that at all. I am glad your sister has you in her corner. You and your mom are doing the right thing. Huh? What do this have to do with kids? I asked about a video how did we get on kids? Me, my mother, oldest daughter all born under sign of Taurus. Emotional steadfastness and nurturing amongst other things. And we southern to boot. We going down with the ship! Nobody will falter under our watch. We are a family. You good? We all good. You bad? Let's fix it...or figure out how to deal. What about the suicide rate among black women with a history of mental illness and suicide attempts; all of which, applies to Sandra Bland. I have no idea what the suicide rate is for mentally ill black women. Strange, her mother said that they had no knowledge of any previous suicide attempts, nor were they aware of any mental illness, but the POLICE told them, Sandra told them she had attempted suicide before and suffered with mental illness. Her family said she was happy and excited about starting a new job and was considering getting her Master's Degree. True, but how many people have died, wreck their vehicles or hurt someone with their vehicles under the influence of weed? I'll wait. So true....Clearly there's a cover-up and that edited tape convey it. Listen, you were never created to live depressed, condemned, guilty, ashamed, or unworthy. YOU were created to be victorious ok? Keep the faith. The most amazing things happen right when you're about to give up. Don't fill your head with worries. If possible try ta train yourself to find the blessings in everything, and they fact that you not only got over but survived chile. Tbh, this is the hardest part in my life but I'm working on it evr'day. Forgive others. NOT because they deserve forgiveness, but because YOU deserve peace.. They are trying to kill our fellow sistas off, because without us the black race will become extinct. I'm going to always support US! ? These cases are drastically different. For one the charges, one being burgulary the other failure to signal a turn. One was in stuck in jail for 3 days, the other was found dead an hour later. Then the biggest is the evidence. One has actual footage of the woman hanging herself with a bedsheet & other surrounding evidence & the length of time was very quick. The other has doctored footage, missing footage, no video evidence in the cell. In what we did see was an out of control furious officer & falsified police report. The only things really in common is black women with weed in their systems. This does not excuse the inconsistencies in Blands case. According to Reuters, Bland was charged with assaulting a police officer. In Texas, assaulting a cop is a felony. So, please stop saying Bland was facing minor charges. What Sandra's mother knew or didn't know about her daughter's struggles with mental illness is inconsequential. Sandra documented her mental health issues on Facebook and via the jailhouse's intake record. In addition, just because someone appears excited about a new job, doesn't mean they aren't dealing with sadness and depression. According to the police report, they asked Sandra if she ever attempted suicide before. She said she tried to kill herself in 2014 when she lost a baby. So... why would they go out of their way to monitor her behavior? It may be uncommon, but black women commit suicide and some of them kill themselves while in police custody. Why did the BD film it? Well if people were better people, Depression wouldn't exist or get to a point where it can make people commit suicide. Depression isn't just a symptom of something going wrong inside of the person who's suffering , its also proof that we live in a sick environment. The world is filled with selfish, mean and shallow people. SMS people outnumber good people in the world. I too suffer, that's how I know how easily a depressed person can become suicidal. Only difference between Sandra and I is my family is aware. That's how my depression started as well. It's possible she hid it from her family. I did for awhile. She was an adult so medical personnel couldn't inform anyone of her status without her permission. Exactly, depressed people put on a facade. Not true. Depression is part of a chemical imbalance, for some people at least. Of course, it can be exacerbated by external influences. I take antidepressants and will take them for the rest of my life. I was a child who worried a lot and had a lot on my mind and sometimes I felt sad, for no apparent reason. Everytime I have gotten off my medication, I have hit rock bottom. For no apparent reason. Everything just seems worse and dark. I get back on my meds, and I'm "normal" again.
? my environment, work enhanced my depression. "or get to a point where it can make people commit suicide." And people will say toughen up or you're weak if you confront them on how they're making you feel. Thanks for this very real post Sandra. There indeed are many of us that are depressed who keep it hidden due to the stigma(being called crazy). This is why I've kept an open mind when it comes to Ms. Bland, because my depression can go from 0 to 100 based on circumstances. One of my friends is this way. He doesn't understand at all. People also get depressed based on circumstances, ex. Loss of employment; as where they would otherwise be okay. Still not true. Some people have internal battles, and they really have nothing to do with others. That's why people say, it looked like he/she had it all. But you know what, I sit back and laugh, because the main people talking usually could benefit from all types of mental health help. They're actually linked to each other. Black women have the pressure to do it all and stay silent while doing it. We're not allowed to hurt, be sad or vulnerable. There's a stigma in our community of being the crazy one or saying so and so takes pills and so and so has "issues". If you ask me, more of our people need to be treated and to be taking pills. At least now these two women are at peace. Let's learn from them! You said it! This is why so many go to doing drugs and drinking because they're forced to suffer in silence or risk being looked at as crazy for telling someone the truth about their problems. So why not go to the bar and drink all your problems away? Why not escape reality with some street drugs that will help you hallucinate? If you show any sign of what they perceive as weakness they will just throw you away because you're of no USE to them. The keyword was " JUST " but you're not reading you're just skimming through. Our unhealthy eating habits are also the cause of many diseases including depression. And the toxic water we shower and bathe in are causing problems in our health too. Some do need pills but most just need a healthy diet and a better environment. You can't drug yourself for every problem. Those depression pills can cause suicide too. Why do you think that those Depression meds have driven people to suicide the second moment they stopped taking them? All that time they were taking them and the minute they stopped they still winded up commiting suicide? Because Big Pharma just wants to keep us addicted and make money. Drugs are meant to keep you addicted and the pockets of Doctors and the Pharmaceutical Industry RICH! And what do you think taking drugs for the rest of your life does to your liver and other parts of your body? Drugs just suppress symptoms of one sickness in your body while causing a sickness in another part. A lot of us have Candida overgrowth in our bodies from all the sugar intake, antibiotic drugs, and dead meat in our systems that are attracting parasites to form in our blood and intestinal tract. All this can cause depression and other problems too. Most the time we need a deep cleanse and to start putting clean foods in our bodies. And we need to filter our shower water. The government isnt gonna do it for us. The companies that are keeping us sick to make money have too much influence over our governments worldwide. It's all about control! Then he isn't a friend. If something hes doing is triggering symptoms of depression then he needs to show concern and he needs to stop. Smoking or eating any mood altering drug and driving is plain dumb. It's worse than drinking and driving. Mood altering drugs affects your judgment, your reflexes, and your common sense. Clearly her judgment and mental status are impaired in that video. Excellent post. But you are preaching to the choir. People will hold steadfastly to their beliefs that she was killed despite all evidence to the contrary. 1 in 4 Americans have some form of mental illness. Black people are the least likely to seek professional help for mental illness and the most likely to self-medicate with drugs and alcohol. I wonder how he got to be a district attorney? Everyone knows weed stays in your system for days, sometimes weeks. Inmates are dressed out and searched for contraband. This is ridiculous. Drivers who cause car accidents are not tested for marijuana because there is no breathalyzer for weed yet. But common sense should tell you that marijuana impairs your judgment, reflexes and makes you more paranoid behind the wheel. They wouldn't. I worked in 2 juvenile detention centers in Atlanta. If a kid answers no when we asked if they were suicidal they do not go on suicide watch. Thank God for your family. Black people cry out for help with their depression and their family members tell them to get over it. Oh, and my favorite lines, "Everybody gets the blues" or "Pray on it." How do you know she didn't try? Please don't be ignorant. Google suicide and educate yourself on its link to depression. You are so right! Many black people are ignorant about depression and mental illness in general. It doesn't affect them so they don't care. Sandra Bland's family ignored her calls from jail. They let her sit in jail the entire weekend. Her roommate ignored her calls. Nobody cared. I choose not to view the video. I am shocked that a grown man stood there filming while a newborn was being abused. Why wasn't he arrested? Many years ago, people like this mother were institutionalized for years. Then the bleeding heart liberals closed most of the mental institutions. And now you are seeing stories like Sandra Bland and Dylann Roof and the countless other mentally unstable people who should not be on the streets. All it takes is one case of suicide in jail to influence others to do the same thing. Depressed people see no hope in their immediate future. Suicide is the easy way out. Being locked up like a caged animal will send most unstable people over the edge. That's why all prisons and jails are supposed to have a medical staff, including a psychiatrist. Georgia does it by the book. I worked in 2 juvenile detention centers as a nurse. During the booking process, the first thing I did was call the parent(s) for a list of meds. Then I ordered the meds from a pharmacy. Within an hour the kid had his medicine. Georgia doesn't play when it comes to mental health. Actually, resisting arrest is a misdemeanor in Texas UNLESS a deadly weapon is used. So like I said, she was facing a misdemeanor. I believe this is an orchestrated and organized campaign to push the mental illness meme in the black community b/c who's the biggest drug pusher in the world? (Big Pharma & The CIA, in case you don't know)..if on the one hand they can push psychotropic drugs to black people by now deeming 'depression' as a mental illness. And btw, have you noticed how so many normal behaviors or behaviors that have been part of the human experience since time immemorial, are now termed as mental illness? Why would that be? Maybe b/c Big Pharma makes a LOT of money and b/c it's much easier to control a medicated populace. Now that's on one end. The other end is that since it is known that young black people are more likely to smoke weed--now we see the US govt passing legislation across the nation to provide 'medicinal' licensing for weed. Hello black people...who dumped CRACK in the hood 30 years ago? The CIA (just in case you've forgotten)..I've even read that crack was invented in a govt lab--it hadn't been seen in large levels prior to the 80's introduction. Gary Webb told the tale of how the CIA purposely dumped the drug into black communities. Now if you are thinking maybe they just looked the other way--my answer to that is that the peonage system has always been a go-to tactic in this country when they need free black labor. It happened soon after 'official' slavery ended and I believe the crack epidemic was a govt response to the civil rights movement. Last thought: for those who think that the govt would be above lacing weed in their medical weed clinics are incredibly naive. If they can medicate us and control us either with Big Pharma psychotropics or with laced medicinal weed, don't think they won't. They've proven themselves this deranged and evil. It may be uncommon for black women to commit suicide because black women are 13% of the female population in America. But among black women who are diagnosed with mental illness, the stats are the same as whites. Ohhh the irony. According to what I'm reading on this post, black people don't speak out about or seek counseling for their issues because of the stuima/condemnation. She mentioned she'd been depressed in her past and now everyone believes she was manic and committed suicide. There is a very broad depression spectrum. Simply saying you are depressed does not equate to "I'm suicidal". And if she was manic depressive, the people around her would definitely know. There's no hiding that. I wouldn't put it past them to have forced her to swallow it before they killed her. These mofos are deranged and fully capable of that and worst. Who said anything about them going out of there way? Please quote where I said that. The police have a duty when someone is arrested and in custody. Period. The video I saw showed a woman who was calm and collected. The COP acted more like he was hyped up on something. He escalated that encounter, not Sandra. I don't know what you see that indicates impairment. Common sense. Or excuses. I want to see some official studies or data that proves what you are implying. It's apparent to me that this woman was targeted and murdered. Do I have proof? Nope. But you don't have any more proof for what you are saying either. Both speculations and opinion. You sound like 500 years of ancedotal and proven evidence of oppression and the recent spate of police brutality are irrelevant. Like it's beyond the pale that they could have killed her? You are the one who sounds crazy and delusional. It's easier to blame the racist cops because how many damn black people have been murdered by them as of late? Are you people either shills for the govt or just that oblivious and brainwashed? And this pushing this mental illness meme bs in the black community is suspect too. The so called powers that be WANT a medicated populace that is easier to control. Any so called disease can be treated with proper diet and natural treatments besides psychotropic drugs. But all Big pharma wants is for you to take a pill so they can make more billions off you and have another 'junkie' for life. The CIA has got the illegal/hard drugs covered and now Big Pharma is coming at the black community as a more 'respectable' drug pusher. Black people better wake up and stop being so damn naive and trusting. Look up the info on what psychotropics do to your brain chemistry. Look up natural alternatives if that's an issue. And finally, if black people are depressed, it's because we have to navigate the hellhole of white racism. That'd make any damn body depressed and agitated. Try doing it for 500 years and hell yeah, you'll have some post traumatic slave disorder. But we ain't crazy. I see us as the sane ones. The ones who keep this system going and benefit from it are the real loonies. You think about color too much. Big Pharma are not just after black people. What is wrong with you TROLLS? I'm not surprised her family didn't notice or seem to care. They care now that they think they can benefit financially. Trolls come to derail a conversation. My intent is to make people think. And I think about MY PEOPLE too much, yes. As opposed to others who try to pretend that 500 years of history is irrelevant. And of course Big Pharma wants as many junkies as possible but again, black people need to be ever more diligent b/c of our history of exploitation. Never forget Tuskegee & Jonestown. They were both US government funded projects. It is not strange if the black woman has a history of depression. She was arrested for assaulting an officer. Kicking any officer will get you arrested. Why is it always a comparison when it comes to black people. 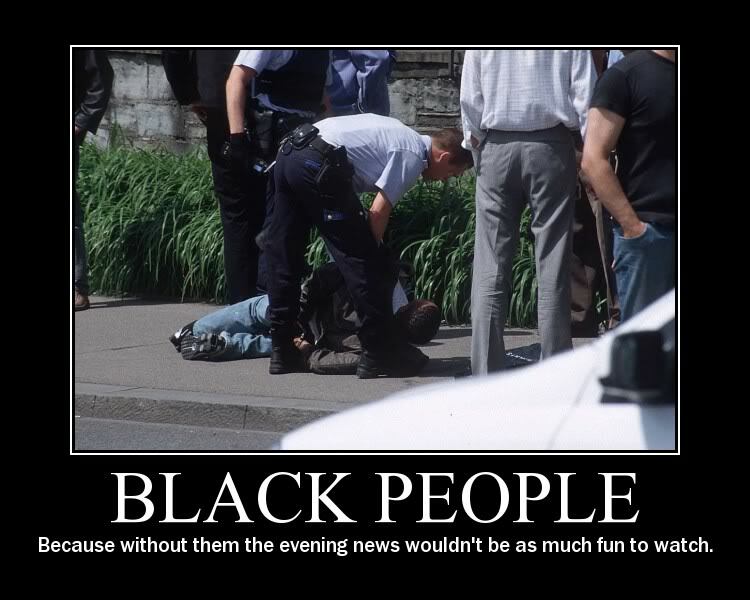 Bottom line people of any color when this goes on it happens to all races it doesn't stop with just black people. It is time it stops. A badge doesn't give people the right to mistreat or kill. My nephew was shackled face down beat and raped for 11 days in 90 degree weather. Not one officer was fired or went to jail. They just paid his Mother money. He went to jail for riding his bike and it hit a car door. He was given no phone call. When we knew he was in jail he was dead. SO people should be very concerned with all of this. It is terrible what people are being subject to. All police aren't bad true enough. But if any policeman knows another one is they should report them first hand. It should not be a in house issue or swept under the rug. Everyone has to work together on these issues. No more political pull by trying to show the public that their sending people away to get a higher position or more money or better job. This us a problem for all races. Yes they do more to a black race. They also need to make sure in any public position that the person has no connection or have ever been with hate situation of any kind. They should have to go through more then just a test. And the police should also not be over weight. They should have to yearly run through the physical test if running etc. Years ago they didn't have tasers. This is because they're not running. The police are also trained how to subdue a person without harm. So at the end of the day they have gotten away from training. You can see evidence of the stigma in these comments. Bland had a history of depression. She said it herself that she attempted suicide before. But people choose to ignore facts for fiction and conspiracy theories. Some people will never understand. It's like talking to a brick wall. Many black women suffer from depression, bipolar disorder or schizophrenia. Very few black women (or black men) get the help they need due to the stigma. The media has a great opportunity to promote mental health awareness in the Sandra Bland case. But they would rather report on murder conspiracy theories to boost ratings. It's shameful. Wow..next you'll be saying that they are to blame for her death..not the angelic cops. They were just trying to save her from herself, huh? lol..some negroes..
And if a person has a mental problem they're supposed to take them to a hospital and notify the family. This also a policeman should have the training on how to hold someone. If they have mental issues they shouldn't be in a jail where they can't get the proper treatment. So they have cameras then who is watching. And it is supposed to be a safety situation to begin with. This is what I'm saying. I remember back in the day when the mentally ill were taken off the streets and placed in mental institutions for the public's safety. Then the bleeding heart liberals ordered the mental facilities shut down. Now you are seeing the tragic consequences of that dumb decision on the news every night. You can thank your government for withholding funds for mental health care in this country. Since when is the Huffington Post a credible news source? Don't use race I used to work with this girl an she had panic attack she just had a baby last year. I am afraid that she might try to hurt that baby my sister have them to but she have to take medication for the rest of her life. problem for all of us and it doesn't matter who you are. Weed in the system will not show in a toxicology result after a couple of days .She had to have consumed it some how while in jail.This was said by a doc they were interviewing on cnn or one off the shows i watched.But in her own words going to jail over a traffic stop.She made phone calls and left messages and there was no cryptic message like she planning to commit suicide. It's that tough love mentality as you said. He told me I was feeling sorry for myself. Im reading some of these comments and how that cop acted was not right.If you was i was in her shoes I'll be mad too.Now that their saying she had a mental illness , she's now being seen as acting a certain way in the video like its something wrong with her.What's wrong is that damn cop was on some real Bulls***.Some people are saying if she would've jus shut her mouth and took the ticket. He asked her a question and she answered it The Devil is busy.And his a## had the Devil in him for that to escalate like that. So true, yes my family has been a rock. have displayed some of my NY attitude, people are always accusing me of having. Unfortunately, not every cop should be a cop and the ones that are should be required to go for Psyche testing periodically, not just when they are applying for the job. Threatening "to light her up"
with your taser is not controlling the situation, it just made It worse. Do you believe in alternative medicine as far as treating the problem? The media is bought and paid for by big pharma and other screwy white collar criminals. This is why I don't bite on to everything they try to feed us. And the pattern of the racial profiling stories that they're reporting back to back all of a sudden let's me know they're up to something. That maybe true but I don't believe that it was one of the causes of her murder. Reuters said she was charged with assaulting a police officer. The officer said Bland kicked him. That's assault and battery... a felony. Sorry, Reuters has more credibility than you do. ? Exactly! Unfortunately, some of your readers are so desperate to blame someone else for Bland's death, they aren't going to let a little thing like facts get in the way of their agenda. Yes, ma'am. Sometimes, you have no idea what's on someone's mind. For someone with a history of suicide, three days is a long time to sit and stew. Last year, I witnessed a man commit suicide by jumping in Lake Michigan. He appeared recently homeless and had been hanging around lakefront for three days. Right before he killed himself, he was lying near the water's edge, crying. I stopped and asked him if he was okay. I asked him if he needed help. He never answered me or acknowledged my presence. When I turned and walked away, I heard a woman scream. He had jumped in the water. After he died, I tracked his family down via Facebook. His sister, who apparently threw him in the street, was riddled with guilt and in complete denial! When I told her I witnessed her brother's suicide, she accused me of drowning her brother!!!! I told her if she wanted to lash out at someone, she should look in the mirror. After all, she was the one who threw a depressed man in the streets. WOW!!! Bless your heart for reaching out to the family. Shame on the sister, blame anyone other than herself. More than likely, Bland's family knew about her mental health issues, but they weren't supportive of her struggles... or they had been through so much drama with her, they were tired of dealing with her troubles. I thought about that as well, because how is she announcing to the world that's she depressed and yet her family knows nothing about it. Sandra killed herself. The "rogue cop" simply arrested her for assault after she kicked him. No you're not. He's just being a negative energy source. You need sources of good energy around you that will lift you up instead of making you feel down. Maybe you should become one with nature. I've notice how calm and happy I feel when I hear the sound of water and smell the scent of trees. This tells me that my positive energy sources are in the forest and waterfalls. I always feel spiritually recharged after hiking. Find your sources in nature and thriugh prayer too . Nature is my best friend. It holds the key to longevity and I gain so much clarity after spending a few hours amongst the trees, by a lake and watchingwatching the pretty birds and butterflies. There is so much to discover and so much nature can do for your mood. I think you should look into that. Seek what triggers happy thoughts and feelings inside of you. Leave people alone for a while. Yes I love nature, and I go to parks, they indeed soothe me. Well Whitty, she ended up hung and no one noticed that either. This we will agree on. Just because neither one has anything to do with the other. But didn't you...nevermind. Beautiful day, isn't it? Exactly! Now that she's dead, they're feigning ignorance. "Oh, really?! We had no idea she was depressed!" Yeah, right. ? I contacted his sister, because if my brother killed himself, I'd want to know about his final moments. I'd want to know if someone reached out to him in his time of need. I also wanted to know how he became homeless. He was gay and most gay men don't have good support systems in place. Poor young man, no support system. This makes me even more grateful for mine. If you have people who love and support you, you are among the lucky ones. Never take them for granted. When I mentioned taking an antidepressant, my aunt asked me if I was a drug addict. Blew my mind! I'm sorry but look at Ms. Bland. All the pictures the family has released they don't even look like the same woman!! She had a new job in another state? Says who? Did they verify that? Something psychological was going on with Ms. Bland. She said she lost a baby last year. She may not have ever recovered from that and it turned into psychosis!!! I so agree. I've looked the pictures her family released and this doesn't even look like the same woman! Someone needs to verify if she REALLY did have a new job offer in another state. She appeared to have some serious mental issues going on to me. I needed this reminder, thanks. In Chicago, they closed a ton of mental health facilities, mostly in black neighborhoods. Doll, I used to work for a holistic medical provider in Chicago. They believed in using things like acupuncture, supplements, and Reiki massage to manage stress and depression. I had acupuncture several times and if was very effective when I injured my knee - it reduced the swelling and almost completely eliminated the pain. As far its effects on depression, I'm not sure. Depression does not automatically make you suicidal. That's something only a individuals life experience can tell you not Google. Think about it if that was true all the ppl that were abducted from Africa and forced into slavery here would have committed suicide and most of us wouldn't even be alive. Put the DSM books down and think for yourself. There's on other thing some may turn to when feeling depressed -- food. You nailed it. I'm reading through this thread with disbelief. She was referred to as crazy. Her "mental" problems were stated to be the reason she was behaving "unstable" during the traffic stop. Although, before the officer lost his mind, Ms Bland appeared lucid and in full control of herself. This post is an advertisement for those who may be suffering from mental illness, to keep it to yourself. There is a huge difference between someone stating I'm depressed and being diagnosed with clinical depression. Girl, you better speak the truth. Candida overgrowth is deadly and has debilitating emotional and physical consequences. What do you consider "credible"?...Faux News probably lol. Mood altering drugs affects your judgment, your reflexes, and your common sense. Yet her reflexes and depth perception was good enough that she realized that the cop was coming up behind her quickly and that she needed to switch lanes. Her driving doesn't seem impacted either. As for her judgement she quiet during the stop until the cop asked her if she were irritated and she responded in a calm voice and without using profanity but you're a bootlicker and maybe you should self-deport your Nazi loving a$$ back to England where they still have kings and queens since you like to be subservient. Also if she had that much weed in her system how did she think of committing suicide by using garbage ties? Why not just do something simple and suffocate herself with the entire trash bag? You have no answers because you've already contradicted yourself. Reagan was a bleeding heart 'librul'? Maybe you need to stick to British history. Sandra didn't take her own life. It's all apart of the government's plan to get rid of African Americans. Marijuana has nothing to do with the issue..Hell, most people use it for recreation anyway. The government is the silent killer. & It won't be long before everyone figures it out. They don't want us here & the media will come up with every kind of excuse as to why these things are happening. There is no excuse, no further investigation is needed. Convict these cops that are not doing their jobs the right way. Police brutality is a norm now days. Know your rights, people. Know your rights, or you'll be another victim of society. LOL weed makes you calm it not aggressive if she was high during the traffic stop she would not have cared that the police told her to put out the cig. I'm around smokers a lot and I do mean a lot and everyone always happy. How could a woman 6ft hang herself from a 5ft shower? Where would she get a trash bag when there are no trash cans in a holding cell? They killed her! I watched a video where a man hung himself from a doorknob - where there's a will, there's a way. This particular jail had huge trash cans in each cell.